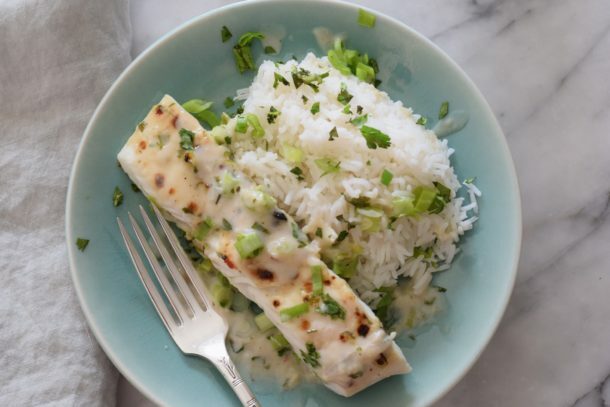 I want to cook halibut in a coconut-lime sauce. Something like this, but I have a different, simpler recipe I plan to try. Maybe with some baby bok choy or asparagus. I have started ordering Hello Fresh on the weeks where I have Lu with me most days. She helps me pick out the menu and cook the meals, and then we eat together. It’s been a great way to get her to try new things. She typically only wants the same foods over and over again, but she feels good when she tries new things. It’s also been fun for us to follow the recipes together, and it’s so nice that I don’t have to shop for ingredients and we can make the meal in under 30 minutes. I used to order Purple Carrot and Sun Basket for myself, when I was eating vegan. Both of those services are great for adults or kids who are more adventurous than mine. But Hello Fresh is great for Lu and me, because it’s a lot of surprising twists on regular comfort foods, if that makes sense. We get our box on Mondays, so we do a Monday dinner, Tuesday dinner, then she goes to her dad’s W/Th nights, then we do a dinner on one of the weekend nights. We like to eat at a restaurant at least once on the weekend. Anyway, the meals above are a chicken dish, a ravioli dish, and a pork burger. photos via Food & Wine. Sometimes, when I’m home alone, I don’t feel like cooking, so I’ll just have wine and cheese for dinner. I love spotting a new cheese I want to try and filing it away in my mental notes cabinet to buy next time I’m eating cheese for dinner. 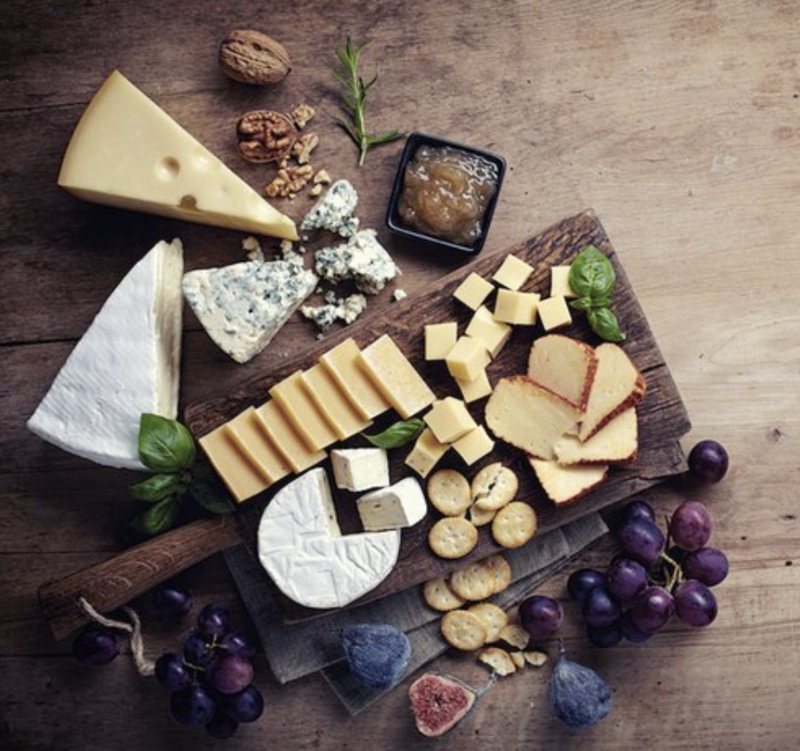 I also love how beautiful cheeseboards are now a big thing in the food photography world. One of my favorite wine/cheese combos is a can of Underwood sparkling wine (like a champagne, but only $5.99 for a can) and some gooey brie. Underwood’s sparkling rosé is also a favorite. I have also recently gotten into Port (mine is from Hip Chicks Do Wine) with blue cheese. 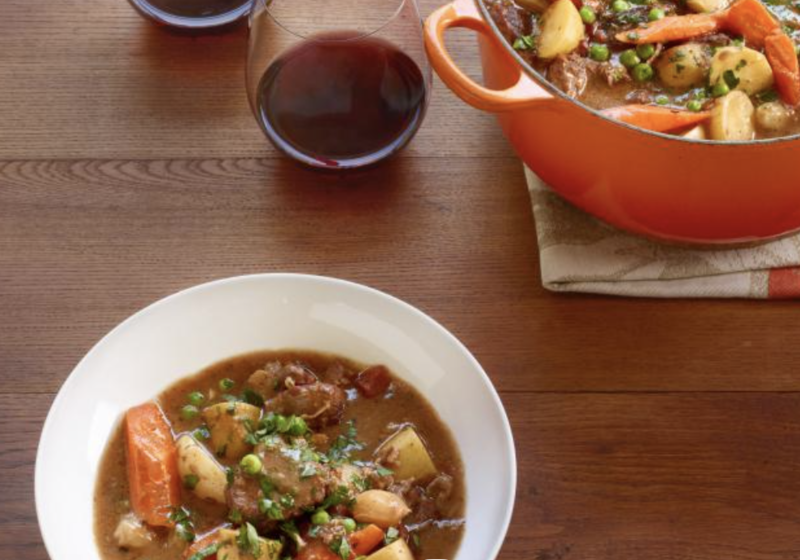 I’ve been craving a spring lamb stew with peas and carrots, like this one by Ina Garten. And since we have several days of rain in the forecast, this will be perfect sometime next week. 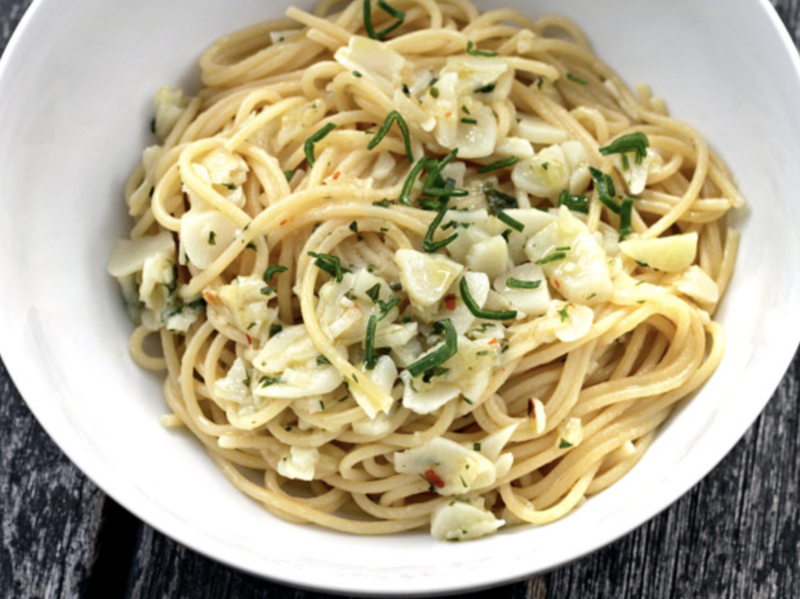 It’s green garlic season, and I’m craving a simple pasta with green garlic. I’d probably add way more of the green part of the green garlic than you see in this photo. But I like the simplicity of the recipe. I’m not sure I’d add parsley to it. I’d add a bit of lemon to the sauce. That’s it! I’d love to know what other people cook this time of year.